I am not sure what to make of the Pope’s comments either. But it does seem like his remarks are directed at gender theory rather than at transgender people themselves. Personally I am not a big fan of gender theory in its current state, though probably for different reasons than Francis. If your looking for Trans information checkout Lynn Conway site and you will find information on back Church history. Previous Pope received his Trans information from a Hater of Trans people, Dr. Paul McHugh formorly with John’s Hopkins Univ. 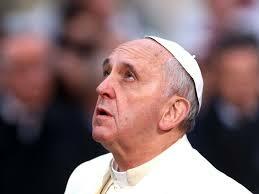 There is va document from the present Pope not readily available a Translated copie and it is not very positive. These people are still in Galileo’s Timeframe. Am looking to start a ‘Conversations on Transgender’ in local churches. Any questions email.